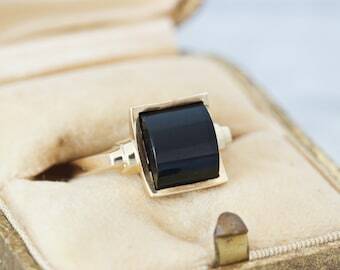 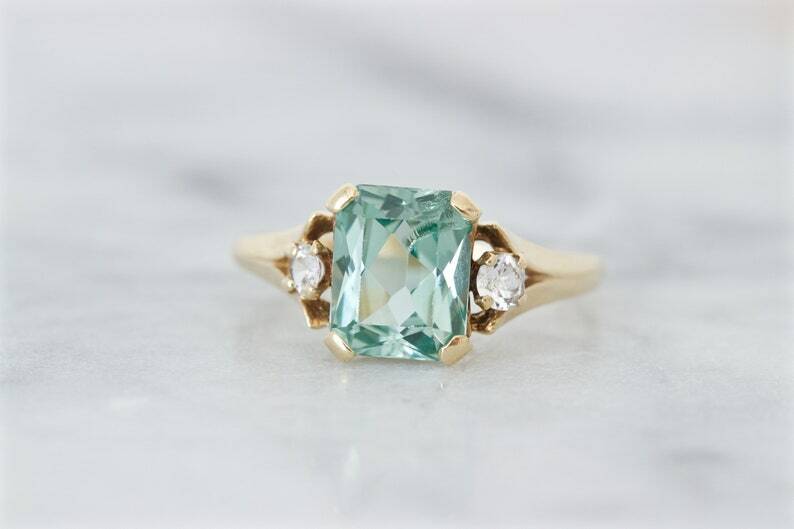 This vintage Retro era ring is cast in 10k yellow gold and showcases a brilliant emerald cut synthetic glass gemstone in a timeless four prong setting. 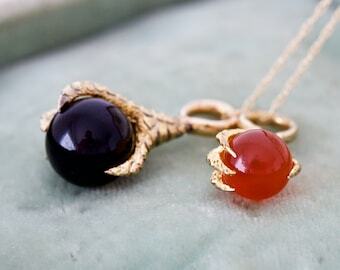 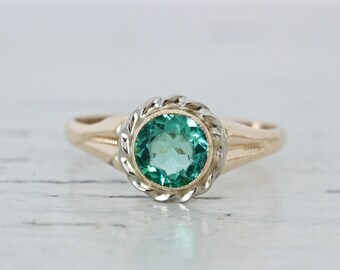 The stone is the color of deep ocean waters, smoky green but incredibly clear. 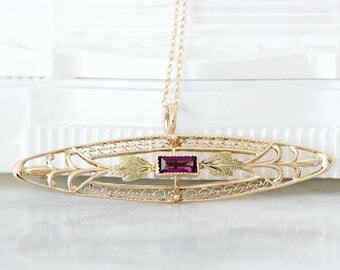 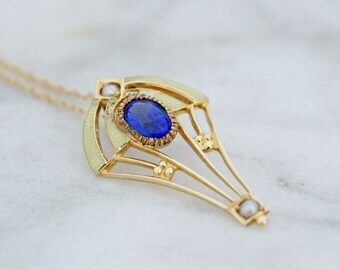 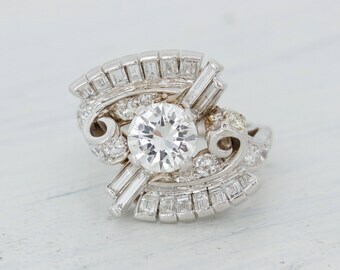 Brightly sparkling white synthetic gemstone accents are set on either side for extra flash and the mounting sits close to the hand, for a comfortable fit. 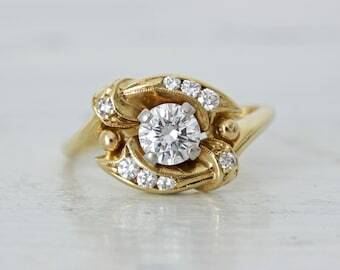 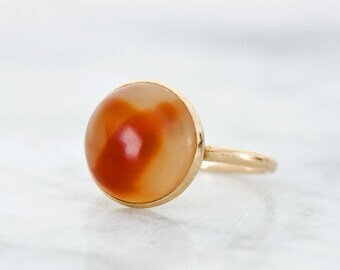 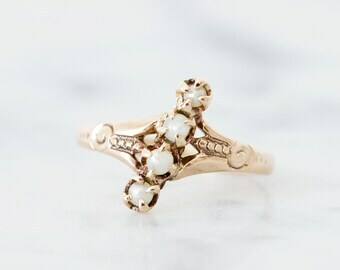 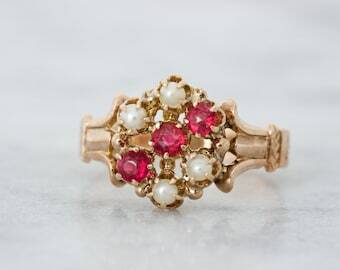 A beautiful early Mid Century piece that is great as a cocktail ring or promise ring. 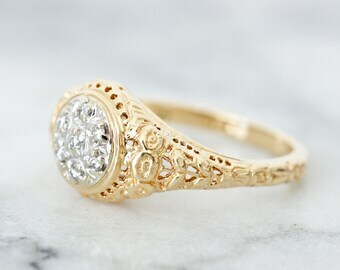 RING SIZE: Approximately US 5.75 / AU L and sizable at least 1-2 sizes by a skilled jeweler.